Maybe we try to deny we have our own pet prejudices, but they’re likely there, somewhere, tucked away in embarrassment or shame. Out of ignorance and fear, we needlessly, and often cruelly, separate ourselves and others into groups and categories, types of “we” and “they,” then look the other way. Sometimes labels are assigned that morph into a generic, additional injury: stigma. Some also pack a double whammy called “diagnosis,” which, like a Rorschach inkblot, can be viewed from varied perspectives, some helpful and others hurtful; that’s the stigma issue again. Then there’s that other problem: mental health professionals don’t always “get it,” that is, adequately understand what is going on with their client or patient, nor do they always get the diagnosis right. But that’s a whole different kettle of worms and a subject for another discussion. If it’s obvious a whole array of BS-biased (Yes, that’s what I mean by BS.) perceptions exist, can we at least admit behaviors motivated by them are usually unproductive at best, and injurious at worst? I think we need to look inward, to self-reflect both individually and as a society, if we are to get at the roots of our fears and prejudices. They’re like dirty laundry at the bottom of the basket that needs to be lifted up, shaken out, washed clean and freshened in the open air. That’s where, I think, change is possible. I often wonder how we can live more consciously and, as the Buddhists say, be more skillfull—in our thoughts, our speech, our actions. And hence, in our interactions, in how we love. Imagine all the brush strokes that paint the many-colored moments of our lives! Every person is unique, and, I believe, in some way special. As I conceptualize my characters, making them in some way entertaining or intriguing, complicated and complex, I am humbled by the challenge, reminded not to make assumptions that I can’t back up. My life experience and background in psychology has taught me how deliciously fascinating human beings are. Expect the unexpected. Savor the diversity. As a result, I write hoping that maybe, just maybe, something in my words will remind readers to be humble as well, to keep an open heart and mind, to come to rest in each present moment and see the wonder of people’s variety and natural artistry. Yes, artistry; a curious word perhaps, but not so when we consider that each of us has the potential to create not just something but someone, and that we, ourselves, are an ongoing creation-in-progress. I believe the human body is an art form, like butterflies and birds, and even the bees, and (though it has taken me a while to be able to say this) lizards, too—not to mention the rest of nature’s treasures. And what about the mind and that fascinating creation we keep molding through our lifetimes called personality? Imagine all the brush strokes that paint the many-colored moments of our lives! It seems to me that we forget the wonder of life, of being. We hurry and worry, and clutter our minds and burden our hearts with things past or yet to come, and so miss what is unique and special in each other. In my recent post He made us laugh. He made us cry. And left us asking why.—in which, following Robin Williams’ death, I pondered more helpful ways we might think about and respond to suicidal despair—I suggested we might do well to do away with labels like “normal” and “abnormal” as well as reconsider the practice of mental health diagnoses that too readily fits people into boxes, or vague “symptom pictures,” sometimes at the exclusion of their better, more functional, perhaps more delightful qualities. I also discussed at length why we should never presume to know how another individual, even someone very close to us, “should” think or behave. Perhaps if we can become still and simply listen, we can better sense the strands of connection that weave between us all, not only the ways we are the same more than we are different, but also the ways those differences might pleasantly surprise us. 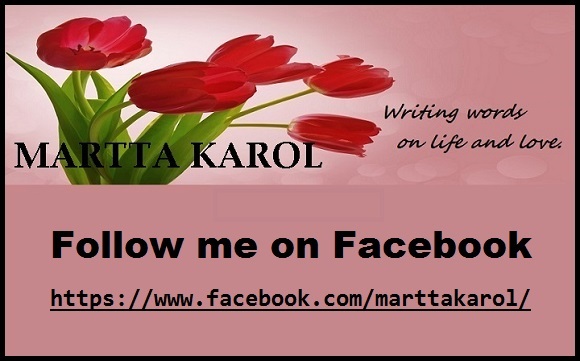 This entry was posted in Healing and Wellness, Inspiration, My Writing and tagged communication, empathy, healing, Healing From Abuse, judgement, quotes for writers, relationships, respect, shame, Spiritual Growth, stigma, writing quotes by Martta Karol. Bookmark the permalink.